Saliha battled 64 contestants in front of 6 million viewers to become the winner of MasterChef 2017. 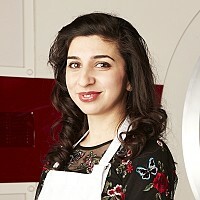 A proud mother and wife, Saliha also works as a junior doctor in North West London, specialising in gastroenterology. Balancing a life in food and medicine, she has enjoyed appearing at various food festivals across the country since her time on MasterChef and writing her debut cookbook, ‘Khazana’, which will be published in September 2018. In her book, Saliha hopes to build upon her reputation for recreating traditional South East Asian food in a modern and exciting way.